The space shuttle used three SSME, organized in a triangle with two next to each other closest to the external tank, and one on top of those. I am pretty sure the first two engines were close to identical, in order to maintain symmetry. 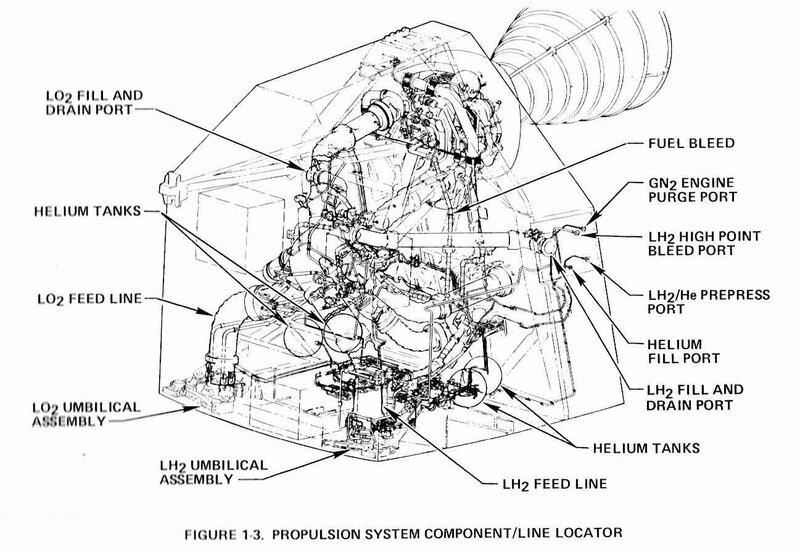 But the third engine did not have to be, as it was offset in the unsymmetrical direction of the orbiter. Because it was a little bit more distant from the centre of mass than the two others, i would expect it to have more of a control function, having a larger gimbal range and throttability. Was that the case? And were there other differences, like in the propellant feed system or in nozzle shape? The engines themselves were identical within manufacturing tolerances, but there were some installation differences, mostly due to "packaging" constraints in the crowded aft compartment of the shuttle. The propellant feedlines were not identical in shape and this resulted in some minor performance differences. For example, the left SSME LH2 line had a slightly larger pressure drop and thus the left SSME would be the first to fail in a low Net Positive Suction Pressure (NPSP) malfunction case. 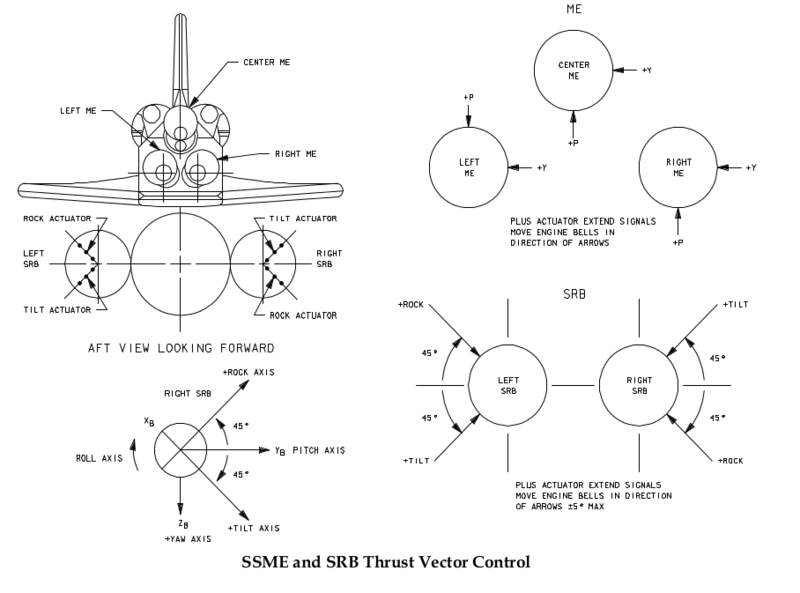 Another difference on the left engine is that its thrust vector control actuators were mounted in a different orientation from that of the other two, which drove some software changes, but was operationally transparent. 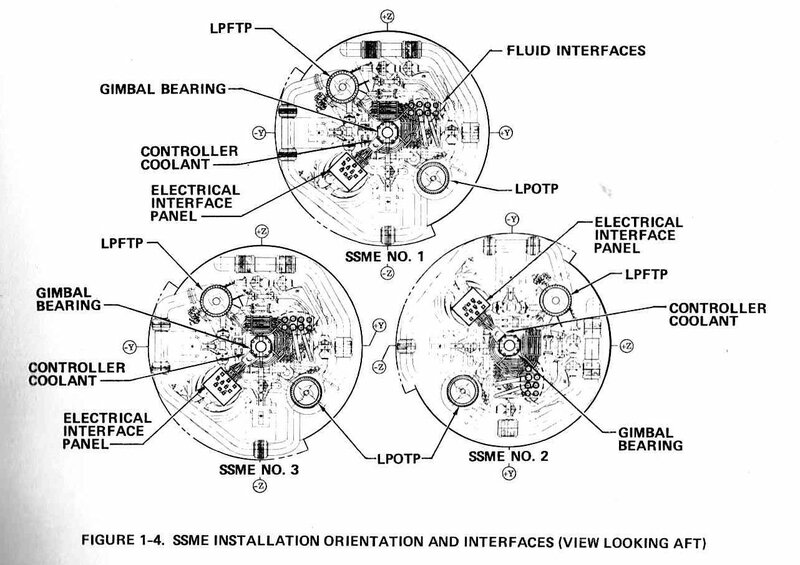 Since the TVC attach points on the engines themselves were identical, this different arrangement of the actuators for the left engine meant that it was actually installed in a different rotational attitude from the other two. 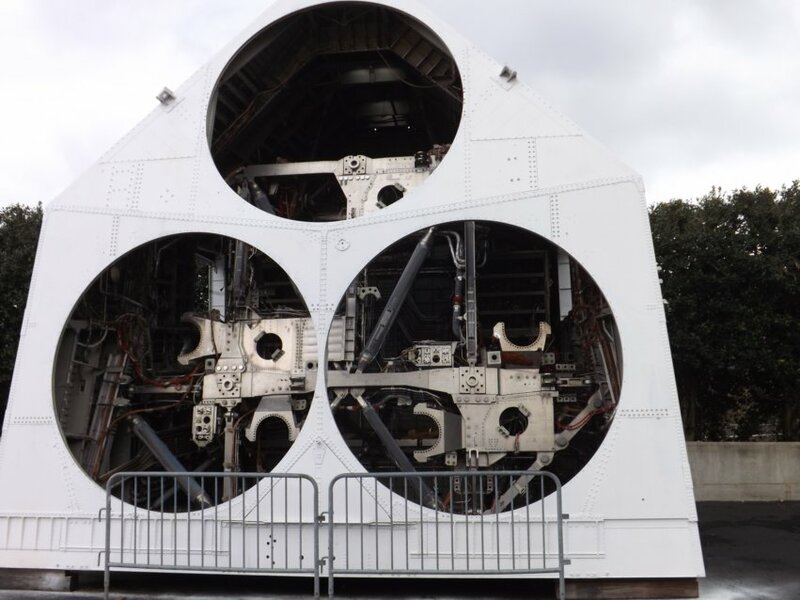 In this personal photo of the Main Propulsion Test Article (a functionally identical shuttle aft compartment used for testing) taken at Marshall Space Flight Center one can see how the mounting interfaces are rotated 90 degrees for the left engine. And a schematic (this is, maybe confusingly, looking aft, so the left engine is on the right of this picture). If you really want to know which engine flew where, there's a chart that tracks the flight history of each engine. Engine manufacturer Pratt & Whitney made press kits for each flight that detailed which engine was installed in which position. A better list than these two is included in the Space Shuttle Almanac, page 1031-1034 (not available for free though). This lists the position of each engine per flight. Fun fact: As the SSME was developed during the Shuttle program, there were various flights with 2 "production" engines and one upgraded engine. 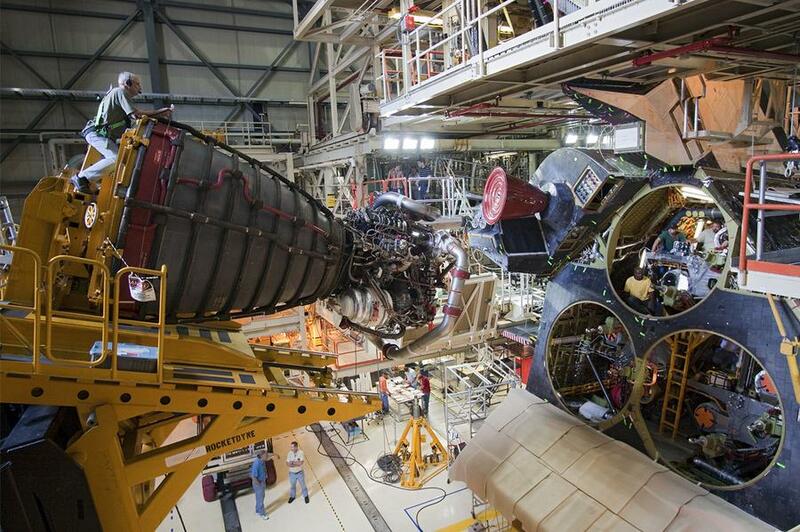 This photo of an SSME being installed shows what's part of the SSME (i.e. which is identical on all 3 engines). Not the answer you're looking for? Browse other questions tagged launch space-shuttle engine-design ssme or ask your own question. Is there any rule for rocket engine nozzle proximity from each other?